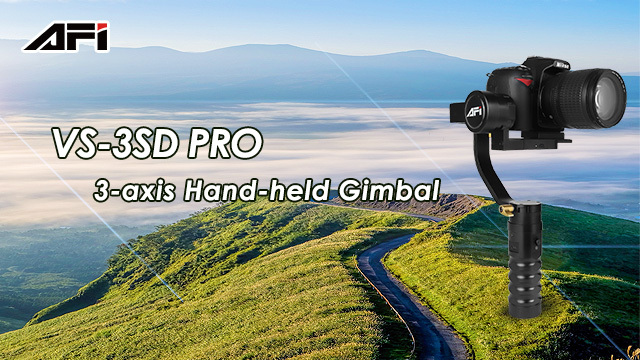 VS-3SD is a portable photographic three-axis stabilizer which equipped 32-bit controller and dual - sensor control augmentation system,so it can help you shoots to be more professional, perfect and smooth effect and also make the shooting more convenient. Whatever in family gathering, promotion video, film, or in the various conference or athletics scenes, VS-3SD will help you easily reach the professional level video. No matter for following shooting or multiple occasions shooting, you can switch mode by one key and control three-axis direction via five-way joy stick. 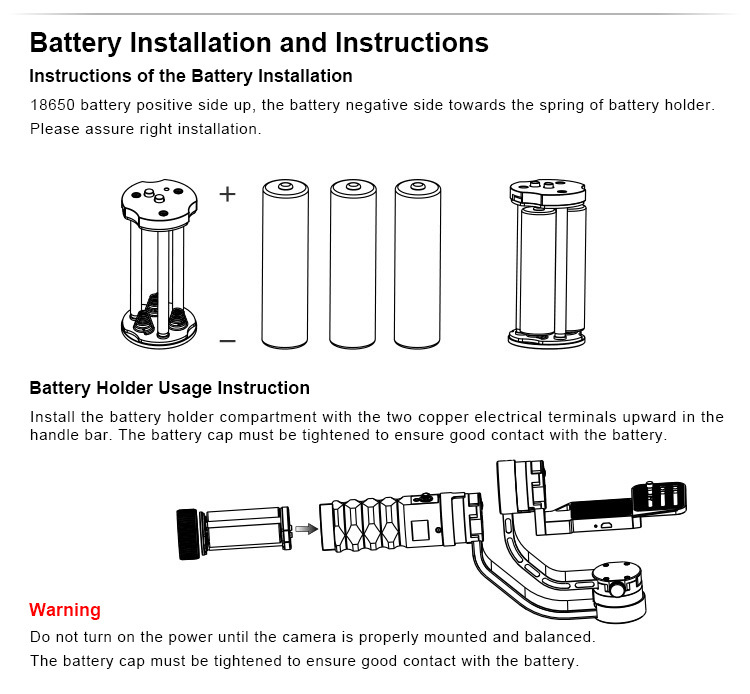 It supports most scroll series camera and PPM remote controller, so as to realizing wired / wireless remote control. 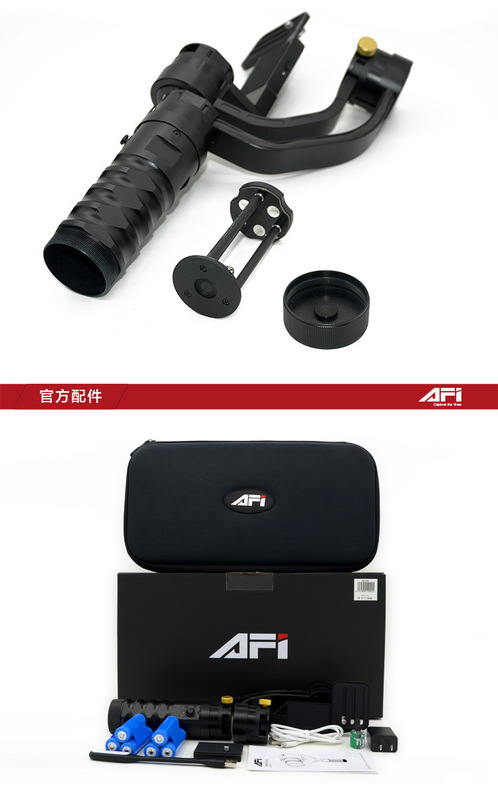 The extended port design in the bottom allows you to mount different accessories (tripods, monopods. jib cranes, sliders and etc.) so as to meet the different shooting needs. 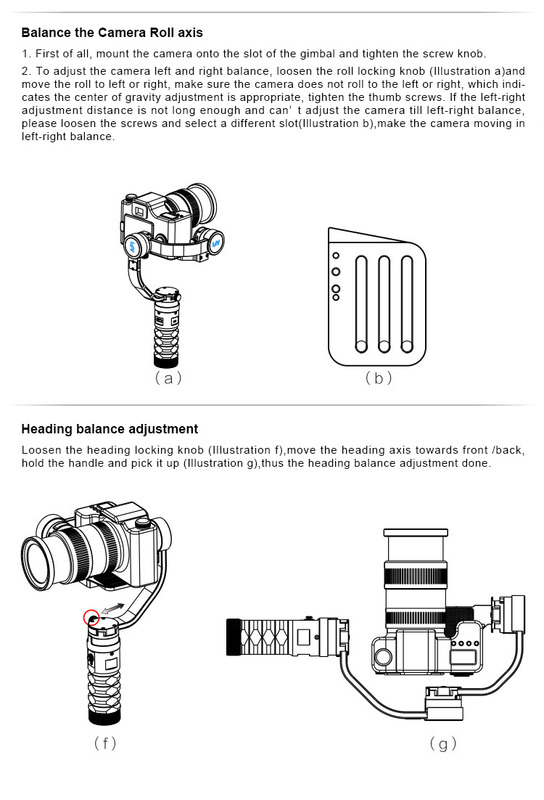 Applicable camera:Canon 5D, 6D,7D + 16-35 f4.0, 24-105 f4.0 lens and etc;Support large Mirrorless camera and lenses, such as A7 Series+24-70/16-35,GH4+12-35/14-40/7-14 and etc. Upgraded anti-shake technology, “stable“for more exciting moments. Anti-shake technology makes you wonderful things, keep the wonderful moments. One Button to Automatically Calibrate.Adopts unique 3-axis brushless electromechanical gyro system, one button reset to the horizontal position, more convenient. Intelligent Control, Go-as-your-please.AFI independent research and development of five-way joystick control, one button control and more convenient, through the direction of the joystick, automatic adjustment of shooting angle and shooting range in up and down,right and left direction. 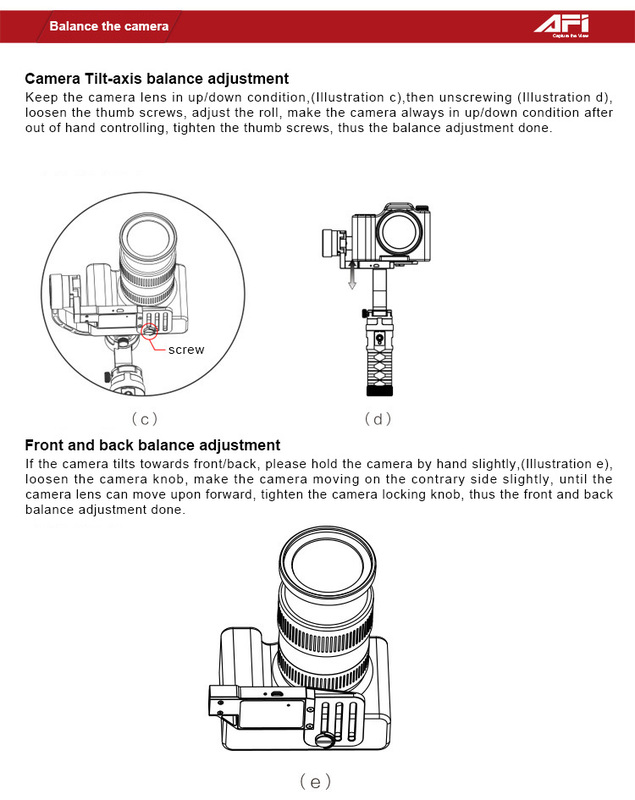 Upgraded Universal Quickly Release Plate.More position and faster for you to adjust the camera position.